As Benen points out, Harvard intellectual Joseph Nye Jr. is the creator and a proponent of the idea of “soft power,” a now well-established concept in the discourse (it has its own Wikipedia page), which he has described as “the ability to get what you want through attraction rather than coercion and payment.” What Benen didn’t point out is that Nye is also the prime mover behind the idea of “smart power,” a concept has been pushing for several years. In 2006 Nye wrote in an an (sic) op-ed for the Boston Globe: The ability to combine hard and soft power into a winning strategy is smart power . . .
Alright, so we know what the two things are, and how they are different and that progressives love them. First of all, smart power makes sense. It's a fancy way of saying that you need to use both a carrot and a stick. Everybody gets that. What's missing in the formula as far as the application of it by Hillary Clinton, president Obama, and current Secretary of State John Kerry, is the 'smart' piece. The results of the past 7 years have come about not because of smart power, but because of an over-reliance on soft power, starting with his bowing apology tour to the Middle East. Despite the Arab Spring, the region is no closer to stability than pre-Obama. In fact it's worse. ISIS continues to march forward in the vacuum created by the president's overly hasty retreat from Iraq. Israel is less inclined to trust America. Syria is a shambles. Iran has seen Obama cave on their nuclear ambitions. Libya had a Benghazi debacle (which they blamed on a stupid, insignificant American movie). Egypt briefly succumbed to the Muslim Brotherhood ruler-ship as a waypoint on what seems to be the slow way back to an authoritarian regime eventually. Afghanistan is no better off than before. Al Qaida has not gone quietly into the darkness, despite all of the soft power drone strikes on leaders. Terrorism attempts continue unabated. Granted they are not on the grand scale of a 9/11 but we have the previous administration to thank for that, as well as tireless work by various agencies. Oh, and a disturbing level of NSA snooping on American citizens. Russia has returned to their bullying ways, flexing it's muscle by annexing parts of the Ukraine. Hillary Clinton's reset button was a debacle. Russia has reset relations to the Cold War era of years past. No one at the White House bothered to take note of it. China continues it's communist expansionist mindset, flexing it's economic muscle globally while rapidly building up its military capabilities. All this while committing piracy of intellectual and trademark property on a historic scale. And then there's the hacking - both the industrial espionage and the military espionage and the hacking of government employee information. China is not an above board player on the international stage. While Obama has struggled to stamp his authority on the globe, his Asia policy had until now been seen as a bright spot given the fracturing of nations in the Middle East, the rise of extremist groups such as ISIS and the return of Cold War-style hostilities with Russia. If soft power also means offending your allies - Israel (see above), Britain (both the queen and prime minister have been slighted) and Canada (the endless Keystone pipeline dithering) are some examples - then soft power has been boldly on display by this administration. To be fair, there have been some successes. Remember when the newly inaugurated president brought the Olympic Games to Chicago? Or how he won a Nobel Peace Prize based solely on his potential? I wish I had been graded that way in grade school, I'll tell you that. "It would reinforce global concerns that the vicissitudes of domestic politics are increasingly rendering the United States a less reliable ally ... it would signal a lack of U.S. commitment to Asia at a time when China is flexing its muscles." 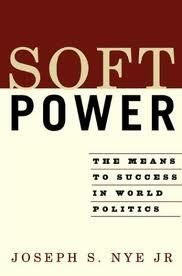 The fruits of soft power smart power are clear - the United States has been diminished by them, in a substantial way. It will take a decade to recover. And that is only if the application of smart power, in its present form is not quelled completely. That means no Hillary Clinton presidency. Thanks guys for everything from ruining America's reputation abroad and setting up a gauntlet of pitfalls for the nation for years to come. That's just swell. In closing I should point out, smart power is not a bad thing. I'm sure a Ron Paul presidency would lean heavily on the notion of soft power abroad. And any president worth his or her salt, would know that both the carrot and the stick are necessary tools of leadership. I do not wish to diminish the notion of smart power. It is precisely what has been lacking since 2009. What we have seen instead is soft power and aloof disinterest in America's position in the world. We'll need smart power adeptly applied to get back to where America once stood.